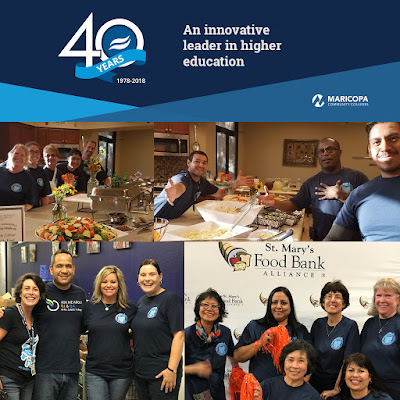 Rio Salado staff members have been hard at work fulfilling 40 acts of community service as part of our year-long 40th anniversary celebration! Check out the latest updates from our teams. This summer, the Café at Rio and Sustainable Food Systems teams purchased, prepared and served dinner for families with sick kids staying at the Mesa Ronald McDonald House. 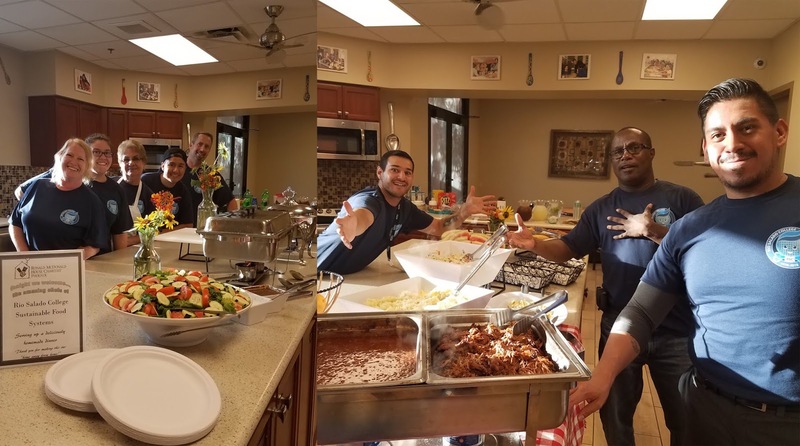 The team volunteered their services on several Friday nights to provide heartwarming, nutritious food. Pictured here (L to R): Miana Spradlin, Katelynn Roles, Teresa Romero, Cameron Yazzie, Michael Hodgins, David Reyes, Demetrius Franklin and Dominic Romero. 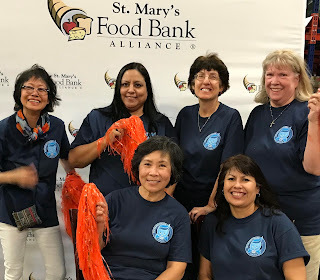 Members of the Institutional Advancement Marketing team volunteered their services at St. Mary’s Food Bank Alliance in Phoenix on Friday, Aug. 31. The team helped pack Emergency Food Boxes, which are distributed to the elderly, children, working families and the homeless. The foodbank distributes approximately 45,000 emergency food boxes a month. 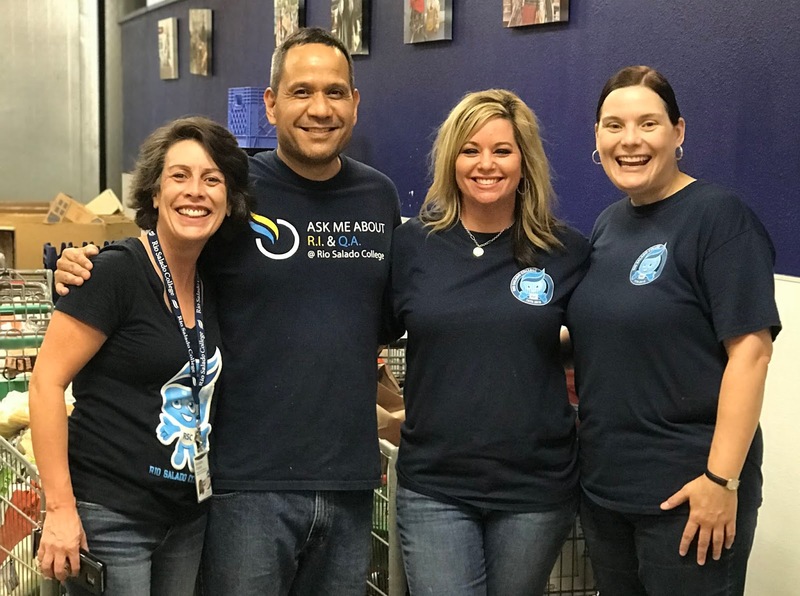 Pictured here are (L to R): Annette Flores, Edward Calderon, Tina Miller and Mira Radovich. Six members of the Business Services team also volunteered their time to St Mary's Food Bank on Sept. 19 to help pack and sort food. The Food Bank provides 250,000 meals across Arizona to needy families each day. 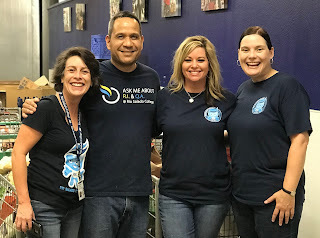 The team also saw pallets of food ready to be shipped to Hurricane Florence effected areas. Pictured here (L to R): Cecilia Vilanueva, Cindy Ming, Kimberly Abeyta, Nancy Garabedian, Rose Smith and Peggy Melzer.